make rugged, easy-to-alter robot bodies. 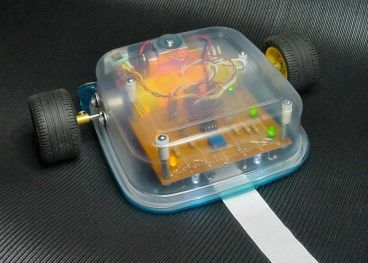 the robot follows dark lines on light surfaces. and miscellaneous stuff like glue.